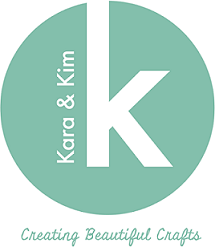 Our team carefully handpicks each item on Kara and Kim, so we hope that you love your purchases as much as we do. With that, all merchandise or sale item bought in Kara and Kim is final and non-refundable. However, we understand that sometimes the item received does not meet the requirements. So, if for that reason; ie item(s) received are damaged or soiled; and notification was email to our customer service within 5 days of receiving the shipment date, we will offer you a refund. Please note That Kara and Kim reserve the right to refuse unidentified order returns. However, all refunds will be made by means of store credit or store voucher (valid for 3 months only). Any unused store credits /store voucher for the returned order will be voided and non-refundable/re-useable. CAN I EXCHANGE THE ITEMS? We do not provide exchanges services. If you would like to change to another item, do use the store credit or voucher to purchase another item or another size. *Colour of products may varies due to studio lighting used and please allow 20% of colour variation in real product as compared to actual products. It may appear darker or lighter. Product refunds due to this reason will not be entertained. HOW LONG WILL IT TAKE TO GET REFUNDED? It can take a few days to complete the refund, depending on the findings of the item condition. this will normally take 3 up to 10workings days (International).